The Bulldogs are two-time National Hockey Champs! Celebrate with this commemorative wool felt banner by Collegiate Pacific. Measures 18" x 36". Made in the USA. Sorry, no coupons or discounts can be used on NCAA National Championship merchandise. 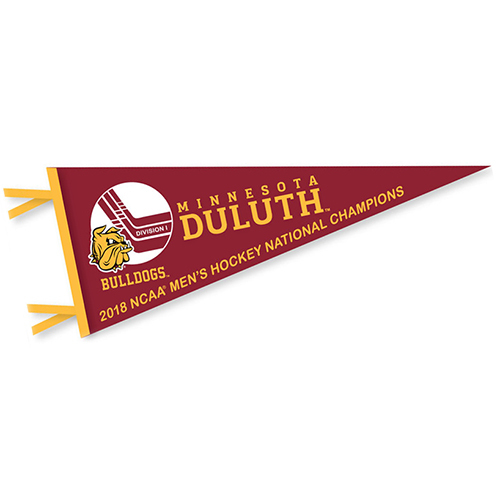 The Bulldogs are two time NCAA National Hockey Champs! Celebrate with this commemorative wool felt pennant by Collegiate Pacific! Measures 12" x 30." Made in the USA. 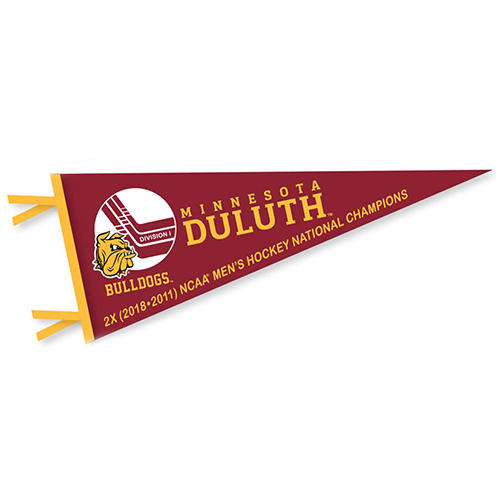 Celebrate the Bulldogs’ 2018 National Hockey Championship with this commemorative wool felt pennant! Measures 12" x 30". Made in the USA. 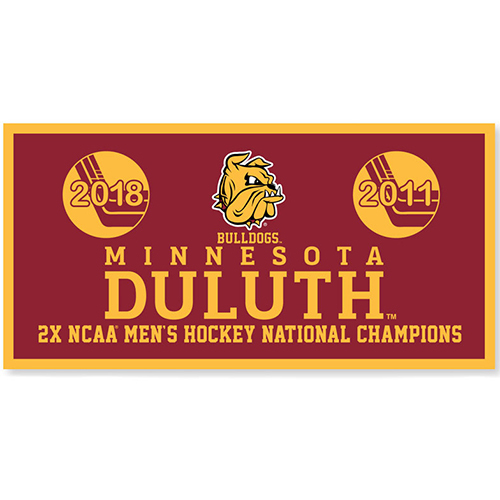 Celebrate the Bulldogs’ 2018 National Hockey Championship with this commemorative vertical rafter-style wool felt banner from Collegiate Pacific! Measures 18" x 24". Made in the USA. 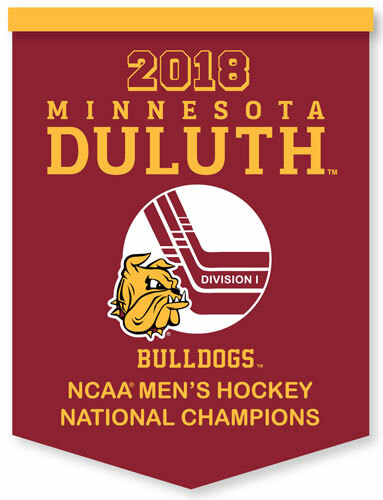 Celebrate the Bulldogs’ 2018 National Hockey Championship with this commemorative wool felt schedule banner! Measures 18" x 36" and features the 2017-18 UMD Men's Hockey schedule with scores. Made in the USA.